Just recently became a Marla Wynne customer. Love both my blue and white crop pants. Cost a little more than most but better quality and material. I am off shaped but they look great, lots of compliments. These are so cute and comfortable and Im ordering another pair!!! 2 just wasnt enough!!! 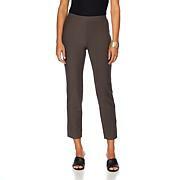 This pant is so stylish & the fit is great even though I am a petite. I purchased all colors to wear all Spring & Summer.They look very polished & I feel finished wearing them. I absolutely love these pants. Stretch is great, washed great. 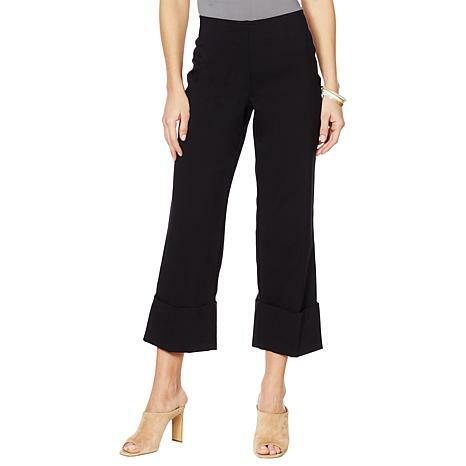 I am 5'1" and always wanted a cuffed pant I could wear at my height. So I bought regular instead of petite as these are cropped and they fit like a full length cuffed pant. Bought in three colors. Us petite girls need a 27 1/2" to 28" inseam. FYI.